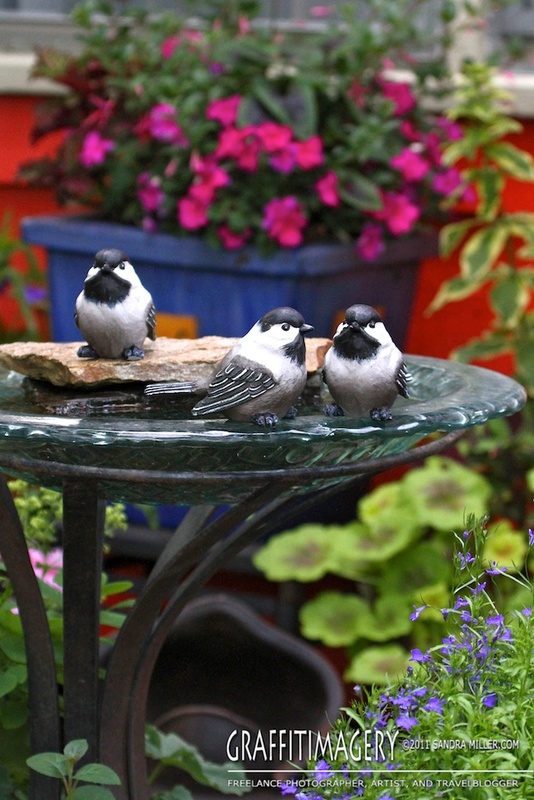 I PURCHASED THESE 3 CHICKADEES AT THE DOLLAR TREE STORE TODAY…THEY RESIN AND ARE SO REALISTIC!! I hope you all had the BEST weekend ever!! Steve and I got so much done around the yard and house this weekend it was awesome….all the while being entertained by the hawks and squinting our eyes at the trees while washing the deck and painting the trellises. I took a few photos on Sunday to show you some of the latest blooms in the garden but will update with a more indepth garden update later in the week. .SCROLL DOWN BELOW TO ALSO SEE SOME GREAT VINTAGE JULY 4TH PHOTOS MOM FOUND! This is my dad on the 4th of July on the right in 1932. The uncanny part of this is below is a photo of my mom ALSO in 1932 on Independence Day!!! These two children who ended up getting married had not even met yet and mom has both photos from the same day in the same year. Mom said she tore her new outfit my grandma made for her for the 4th!!!! !…OMG what a pouty face!! Have a great week my friends!! It may look like I am not working on art while I’m doing this remodel, but behind the scenes a TRUNK SHOW is brewing for late summer!!! I will keep you all updated as I have dates etc! !